* Very Discreet packing !! Returning name and address are personal, no company name on parcels. And we could do according to your advise (if any). Your parcel will be always personal. * Your order will be shipped within 24-48 hours after the payment. If you place an order during weekend, your order will be proceeded on Monday. * After purchase, please check your inbox (or junk mail) later because we will send you a tracking number. We ship orders within 24-48 hours, (or later if a post office closes). All orders require a signature upon receipt. Normally delivery time to the US takes 2 weeks. – in Canada, delivery time can take up to 2-3 months, depending on the Canada post and customs. Customers in Canada may consider Express mail service option – EMS (extra cost) which delivery time takes only one week. We offer Regina herbal rich soap sample give away with EMS. – in Africa, delivery time takes 1 month. – in Asia and Australia, delivery time takes 1 week approximately. – in Europe, delivery time takes 1-2 weeks approximately. Discreet packing with privacy. Trust us !! We respect your privacy. We do not disclose or sell customers information to any third parties. Your privacy will be treated with strictly confidential. Paypal is a leading e-payment service provider. Paypal accepts all types of cards : VISA, Master and Discover. Some customers may feel uncomfortable to pay credit cards. You can request money transfer by Western Union or MoneyGram. For the cost of transmitting fee of Western Union and MoneyGram, we offer extra capsules to cover all your fees, then no additional cost on your end and normally the cost of extra capsules we offer is higher than the cost of transmitting fee you pay. 1. Please advise which products you’d like and for how many bottles, then we will calculate total cost including shipping fee. 2. We will get back to you with a total cost and details of recipients. ***** Please always check that the recipient name is all correct. – Exact amount that you paid (including decimal, if any) or amount that we will receive. – Full Sender name that you gave to WU (including middle name, if any) and address. 4. Once we retrieve money, we ship our order within 24 hours. 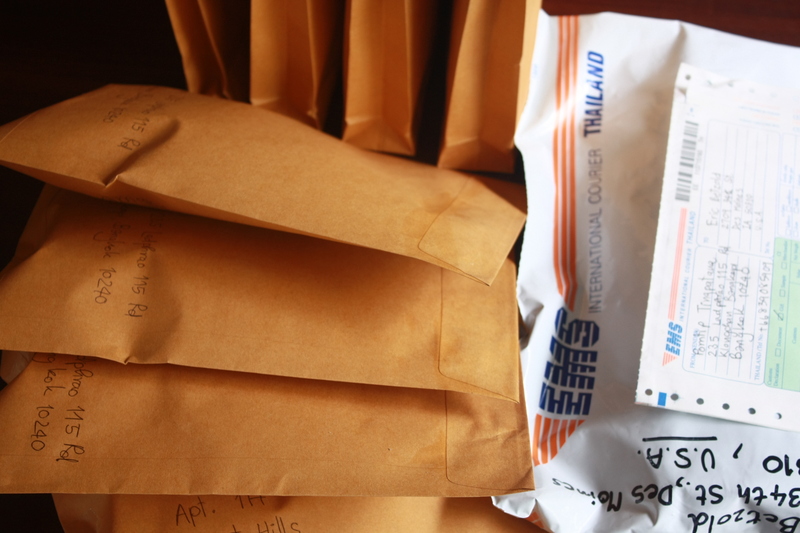 All orders will be delivered by Registered air mail through Thailand Post office which is 100% guaranteed delivery. We ship your order immediately within 24 hours with discreet packing once we receive a confirmation from your credit card issuer. You will receive a tracking number for a reference. You should receive your parcel in due time, depend on destinations and local customs process. In case, you prefer fast delivery, then pelase choose to ship by Express mail service (EMS), which normally your parcel will reach you within 3-7 days (depends on destination and local customs policy). The additional cost of EMS fee is $50. Flat rate for one parcel (any quantities). Which you can find a payment button at the bottom of the product shopping page. Your Express order can be tracked at www.thailandpost.co.th and also from your local post office web site. * Free Butter lip balm (premium handmade) for choosing EMS. We do not earn from EMS fee but this shipment reduces hassle on both you and us, so we thank customers with lip balm. An additional of $50 up on regular air mail. note;- We offer free Antioxidants + Sirtuins herbs and Pueraria mirifica soap sample, just to help our customers that you will receive products faster. We do not earn anything from EMS charge, it is actual cost from Thailand Post. From other countries, you can track from your local web site. 100% Guaranteed money back on returned goods. The goods must be in good condition and the customer pay returned shipping charges. Please claim within 30 days after receipt. Our production license of Medicinal Herbs at Food & Drug Administration, Ministry of Health is 23/2545. Herbalist license is 23039. You can cancel your subscription any time you want, just send us a message, we will refund full payment of that period to you.